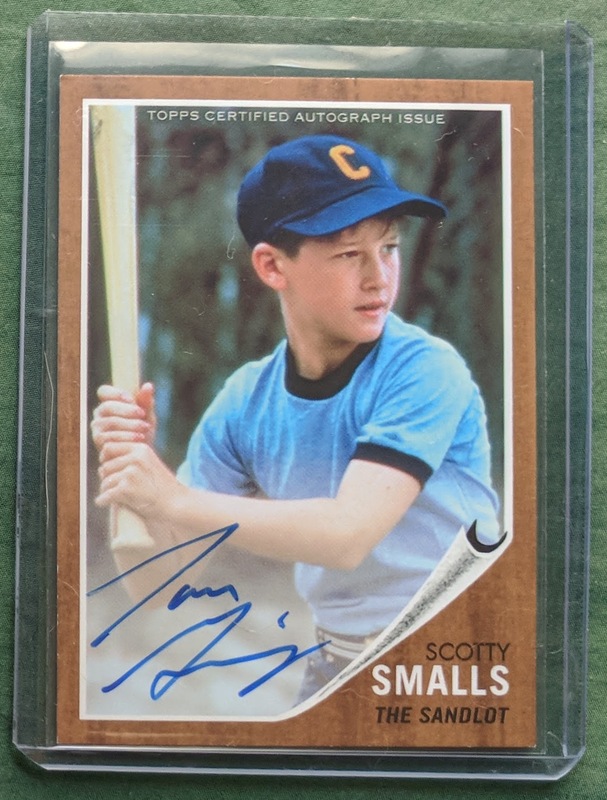 Baseball Card Breakdown: You're killin' my wallet, Smalls! My quest for completing the Sandlot cards in 2018 Archives has kicked into gear with a big addition, Scotty Smalls himself (Tom Guiry). While I'm hitting these hard, I know I'm an idiot for doing it now. 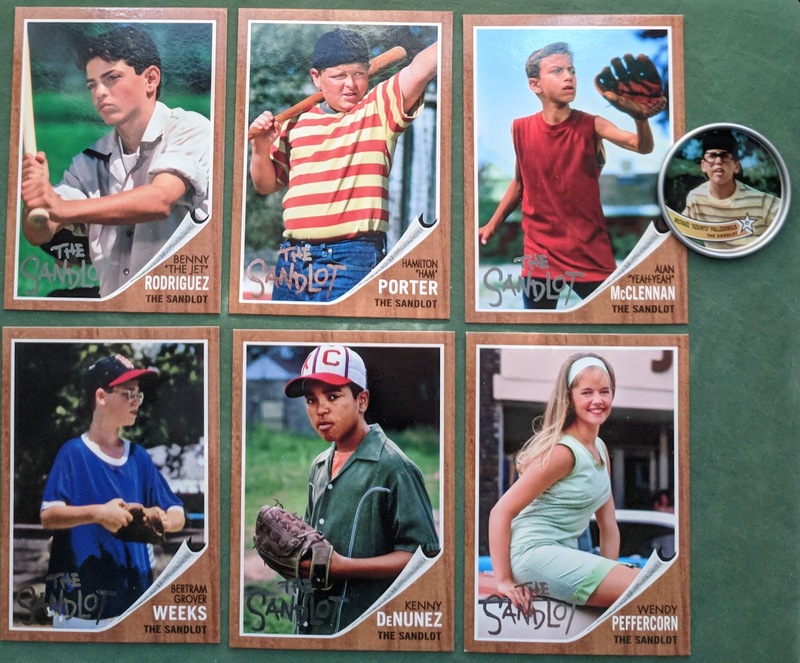 Only retail '18 Archives has been released so far, so all these Sandlot autos on the market are from retail. 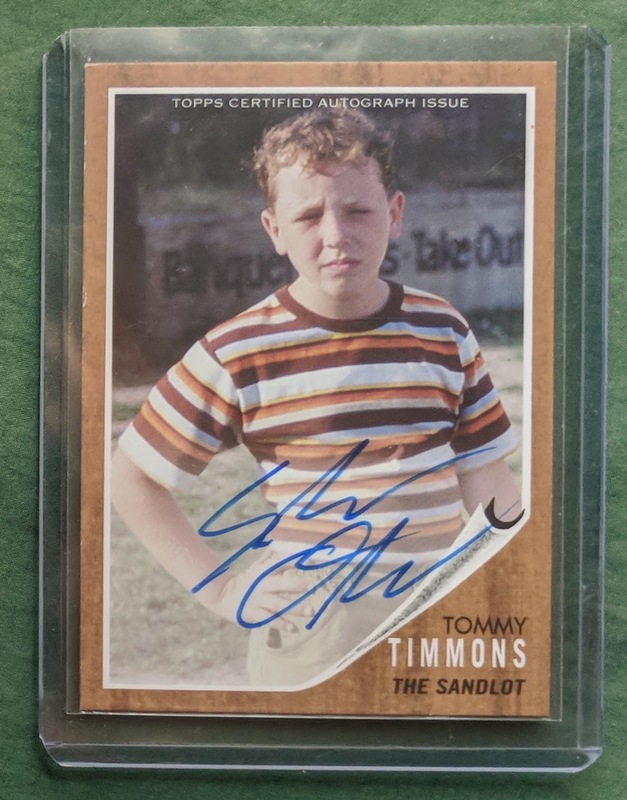 Once hobby boxes are finally released in late October, there will be a big influx of these cards on the market and I expect prices on the Sandlot autos to dip if not plummet. So a smart collector would wait until November to begin going after the set. So why don't I exercise a little patience? But I'll try to be content with Smalls here for now-- who enticed me to pull the trigger with a reasonable BIN price-- and try to wait on the other "big names" I still need (chiefly Ham and Wendy, both very popular) until prices fall into a more comfortable range. Going back to the actor who played Smalls, Tom's other notable appearances are U-571, The Mudge Boy, Black Hawk Down, Mystic River, and The Four Diamonds. Guiry also played Jimmy Donnelly on the NBC drama The Black Donnellys. I also picked up Tommy "Repeat" Timmons. Almost looks like that signature could say Shohei Ohtani; but no, it's Shane Obedzinski. Close! Shane doesn't seem to have done much other acting besides the Sandlot. I've got a couple more Sandlot autos on the way, too. As far as the non-autos, here's a kickass lot I just received from Julie at ACB. These were part of a package so impressive that it makes you tremble thinking about the daunting task of assembling a sufficient return package, not to mention drafting up a blog post covering it all. I'll likely have to break it up into 2 or 3 posts.. so except to see more from the mailing in future posts. Thanks to Julie, I don't have many non-autos left to chase. These wants have now also been added to my Desperate Dozen. If you've got any Sandlot stuff available for trade that I need, hit me up! 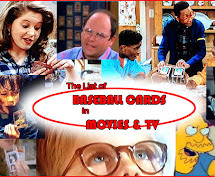 Hey, speaking of The Sandlot and The Simpsons, I've got a big project in the works of compiling a list of all the times baseball cards have appeared in movies and tv shows. And it'll be a "living list" since I intend to keep on updating it indefinitely. I'm pretty excited about it! Expect it soon. Because I am the way I am, I looked at the Marley Shelton autograph. All I can say is that even at 44 she is still incredibly preserved, and she has a signature that looks like it's competing with Wil Myers' autograph for the worst of the worst. I'm looking forward to your TV and movie list! That should be interesting! Trying my best to wait until the hobby boxes hit the market and prices come down, but it's not easy! 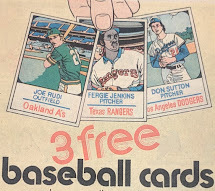 Love the idea of collecting cards featured in movies. Can't wait to see your list and how many I have sitting in my collection. glad I could help, gavin!